GUESS WHO&apos;S BACK! KYU IS BACK! BACK AGAIN! NOW LETS DO THIS SHIP! It&apos;s been three days since Naruto fell unconscious.I&apos;m sitting here in the hospital room hoping for a sudden movement to come from the blond. Tsunade, our fifth hokage had trouble trying to patch Naruto up due to the black chakra coming from him, but finally succeded on healing him enough for him to wake up soon. 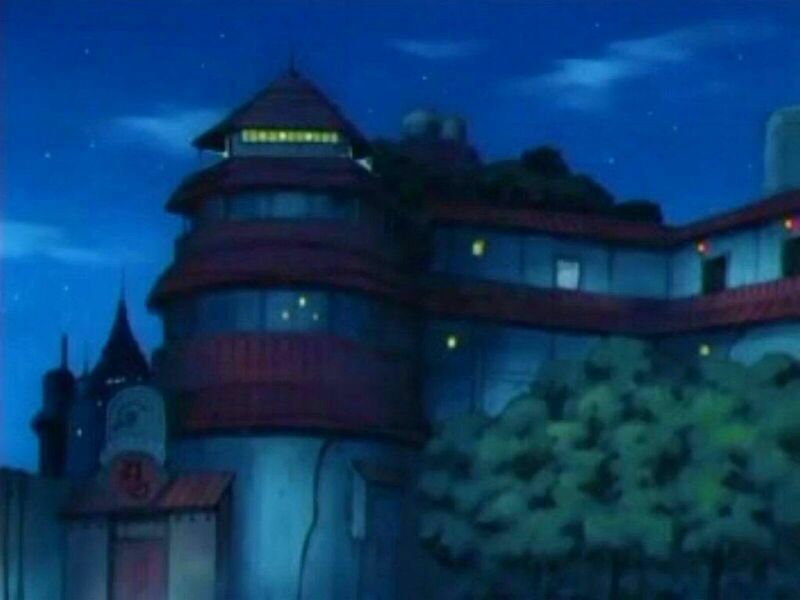 Every morning I get up and head right towards the hospital waiting for the return of Naruto. I lay my head down on the bed where the whiskered face boy was laying and held his hand falling into a shallow sleep. I shot my head straight up and looked around only to notice Naruto sitting there with a small smile planted on his face. 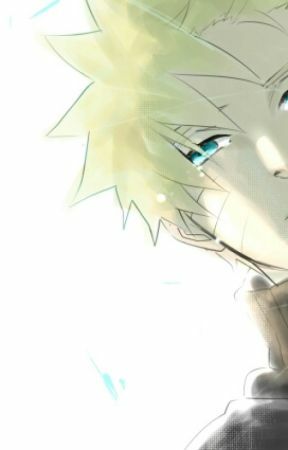 "Morning Naruto." "Morning Teme... You mind doing me a favor?" "Uh.. Okay. What is it?" His facial expression changed to a goofy smile. "Mind letting go of my hand? Your kinda squeezing it to hard." I stood there for a couple of seconds confused until I looked down and realized I was hugging his hand with mine. I quicly looked at Naruto then back at the hand and let go. Not realizing the light pink shading forming under my eyes. "Hehe thanks teme." he said rubbing the hand that I was just holding. "Oh. Uh. Yeah. No problem. I&apos;ll go get Sakura to check on you." I responded looking at him. He nodded and gave a faint smile. I walked back into the room with Sakura and Tsunade following right behind me. "Nice to see you&apos;re back up Naruto" said the Fifth. 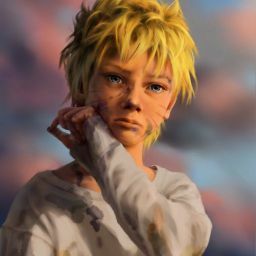 "Morning Naruto, have a good sleep? Cause I sure didn&apos;t" she said with a slightly annoyed face and tone. I gave her a threat glare hoping she would shut up. But I guess she took it as a compliment because pink was forming on her cheeks. "Morning Baa&apos; Chan. Morning Sakura Chan" showing them a wide smile, no one would realize wasn&apos;t real. "I have a few questions for you Naruto once you&apos;ve answered them you will remain in the hospital until tomorrow morning" she said with a sweet smile. "Here&apos;s the first one. Do you have any memory of when you fell unconscious"
Of course I remember but Im not going to say that, I&apos;m leaving tonight so whats the whole point. "Sorry Baa&apos; Chan I don&apos;t remember. Maybe if you ask more questions I might be able to regain some of my meomory." "Hmm.. Okay" she said, while writing what I assume is notes of me having some memory issues. I just need to make this believable.